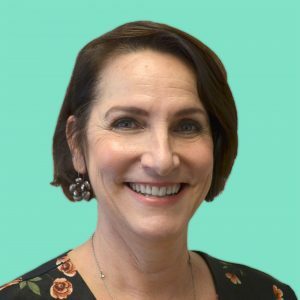 Karin Grandon is a Technical Assistance Liaison for the Youth Technical Assistance Center (Y-TAC) at the Institute for Educational Leadership (IEL). Since joining IEL in 2017, Grandon has provided subject matter expertise on programs for youth who are Blind or Low Vision to a wide range of state and local youth service professionals in workforce development agencies, postsecondary institutions, special education transition programs, state education and vocational agencies, and other human service agencies. Grandon developed multiple technical assistance guides, briefs, and other publications for Y-TAC on topics relevant to youth who are Blind or Low Vision. Currently, Grandon is also working with several other local and international agencies in the area of youth transition: including First Place, a program focused on building community and housing for individuals with Autism and other special abilities; as well as serving as the Ombudsman for the Arizona Schools for the Deaf and the Blind. Prior to joining IEL, Grandon worked for the Arizona Rehabilitation Services Administration (RSA) as Deputy Administrator and governed the programs related to individuals who are Blind, Low Vision, Deaf-blind, Deaf and Hard of Hearing, as well as serving the general Vocational Rehabilitation program. From 2000 to 2016, during her tenure at the Arizona RSA, Grandon also served as a Certified Rehabilitation Counselor, Supervisor, Regional Program Manager and Statewide Coordinator for Independent Living Services. In each of these roles, she established a relationship with the Tribal Vocational Rehabilitation programs and many other state, regional and national partners. Prior to working for RSA, Grandon worked in special education in the public school system and as both a private provider and employee of the Arizona state agency for individuals with Developmental Disabilities. In 2005, she co-founded The Scenic Route, a non-profit agency that provided social and recreational activities to adults with developmental disabilities, with a focus on long distance bicycling activities and international travel opportunities. Grandon has a B.A. in Education from Prescott College, an M.A. in Special Education and Rehabilitation from the University of Arizona (UofA), with completed coursework toward a doctoral degree in Rehabilitation Counseling through the UofA, and a certificate in Rehabilitation Administration from San Diego State University.